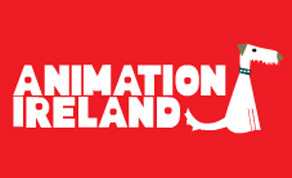 Animation Ireland has revealed the nominees for the third Irish Animation Awards, which will take place in Dingle on Saturday 23rd March, home to the Dingle Film Festival and Animation Dingle. The nominees were chosen by the IAA judging panel along with two judges from National Schools who are currently deliberating on the ‘Kids Choice Awards’, which will be available in the coming weeks. The awards will take place at the Dingle Skelligs Hotel on Saturday the 23rd of March 2019, which is also home to the Dingle Film Festival and Animation Dingle. There are 17 categories in total including a brand new category for 2019 with ‘Best Newcomer‘. We are really looking forward to going back to our beloved Dingle again in March 2019 for what has become an internationally renowned and celebrated event. The awards are sponsored by RTÉ, Screen Ireland, Animation Skillnet, Philip Lee, Celaction, Screen Skills Ireland, Brophy Gillespie and Gorilla Post. Nominees announced end of February.